UWI Vice Chancellor Professor Hilary Beckles. The democratic, nation-building debt the American nation owes the Caribbean and the Haitian nation in particular, is not expected to be repaid but must be respected. Any nation without a nominal notion of its own making can never comprehend the forces that fashion it origins. 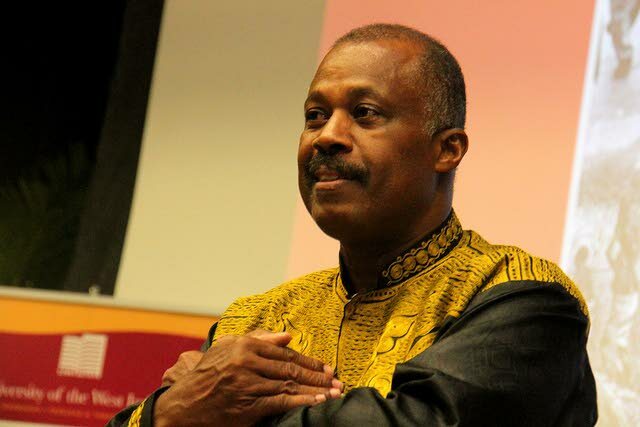 This was the view of Vice Chancellor of the West Indies, Prof Hilary Beckles, who in a release said Haiti’s Caribbean vision illuminates America’s way out of its colonial darkness. This is the debt President Trump’s America owes Toussaint L’Ouverture’s Haiti. It’s a debt of philosophical clarity and political maturity. It’s a debt of how to rise to its best human potential. It’s a debt of exposure to higher standards. Haiti is really America’s Statue of Liberty, Beckles said. Trump might not know and probably care little for the fact that Haitian people were first in this modern world to build a nation completely free of the human scourge of slavery and native genocide. It might be worthless in their world view, Beckles said, that Haiti’s leadership made the Caribbean the first civilization in modernity to criminalize and constitutionally uproot such crimes against humanity and proceed with sustainability to build a nation upon the basis of universal freedom. The tale of their two constitutions tells this truth. The American Independence Declaration of 1776, reinforced slavery as the national development model for the future. The Haitian Independence Declaration of 1804, defined slavery as a crime and banished it from its borders. Haiti, then, became the first nation in the world to enforce a provision of personal democratic freedom for all, and did so at a time when America was deepening its slavery roots. The USA, Prof Beckles said, therefore should daily bow before Haiti and thank it for the lessons it taught in how to conceptualize and create a democratic political and social order. Having built their nation on the pillars of property rights in humans and realizing a century later that slavery and freedom could not coexist in the same nation, Americans returned to the battlefield to litigate the century’s bloodiest defining and deciding civil war. Reply to "Haiti and the Caribbean stands proud"